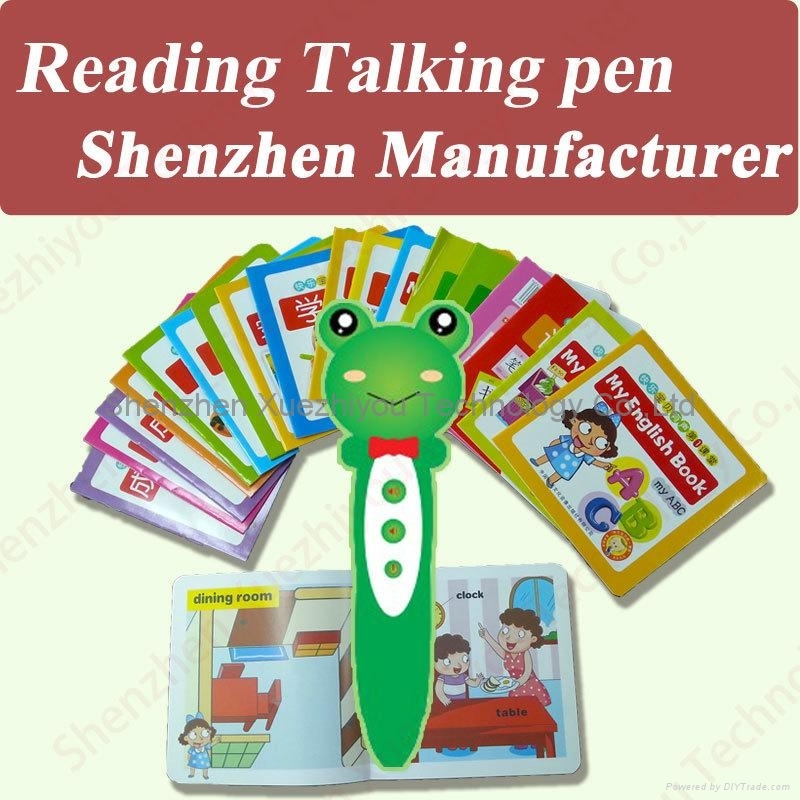 What is the Reading Pen ? 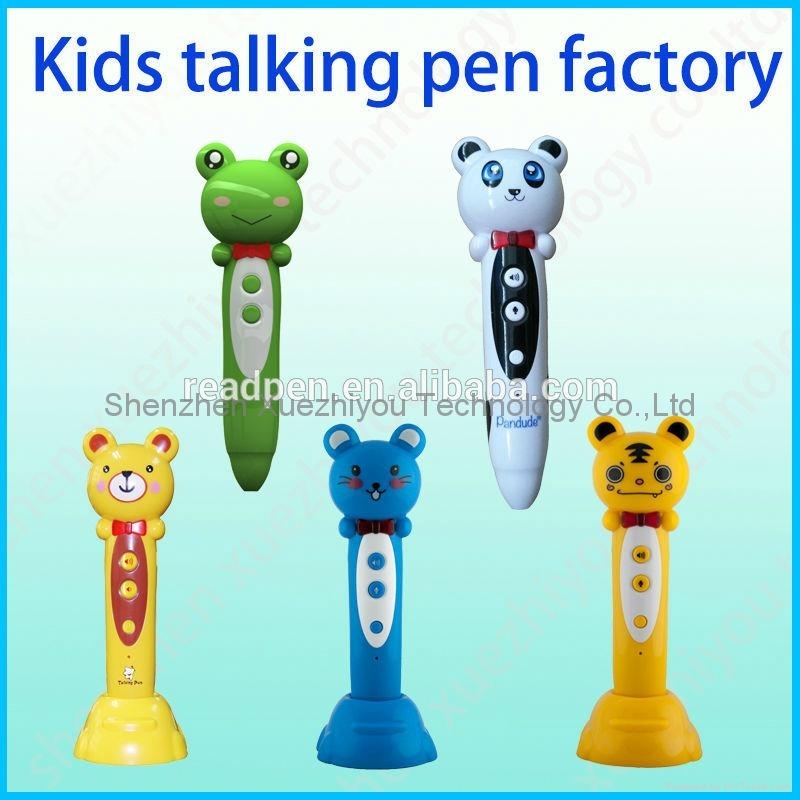 Talking and reading pen, a magic pen specially designed for children, makes kids be more involved in learning. 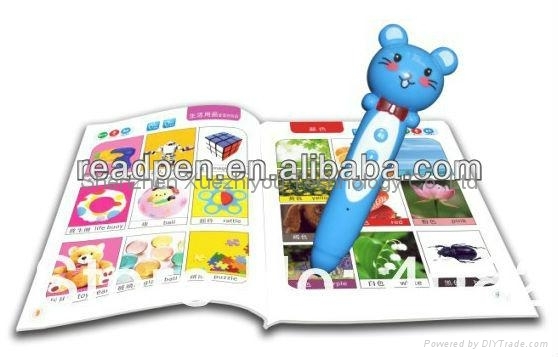 Talking Pen is a revolutionary technology which brings multiple languages, sounds, songs and interactivity to the printed page! A fantastic new way to enhance literacy skills. It also lets you make, save and playback recordings at the touch of a page. Cute toy design in case for the kids' interest. Small shape, simply for operation and convenient for handling and carrying. Just point, you can read and learn wherever you are or whenever you use it. The shape is simple and with few buttons which are better for kids to handling and carrying. Point and read out immediately. Without any difficult operation, you can listen to the HD voice to learn. Interactive reading and games to test the learning. The kids will like the interactive reading and games while they are learning. They will enjoy the learning by this means(learning and entertainment integrated), so their study will be much more efficient. The children can listen to the songs they like. They can choose the fairy tail or animals stories. They can download the songs or files whatever they like into the pen. Real-man recording, high quality voice. All sounds are recorded by professional radiobroadcaster, foreign experts and children of opera troupe, providing high quality, graceful and normative sounds for kids language studying. High quality and good after sales service are provided to every customer. 10. The packing design and manufacturing. 1.OEM&ODM are available. Small quantity accepted, large quality with competitive price. The yield of our company is 98%. We also provide 1 year warranty for the customers and for abroad cooperators, we will provide the extra for the fixed quantity.